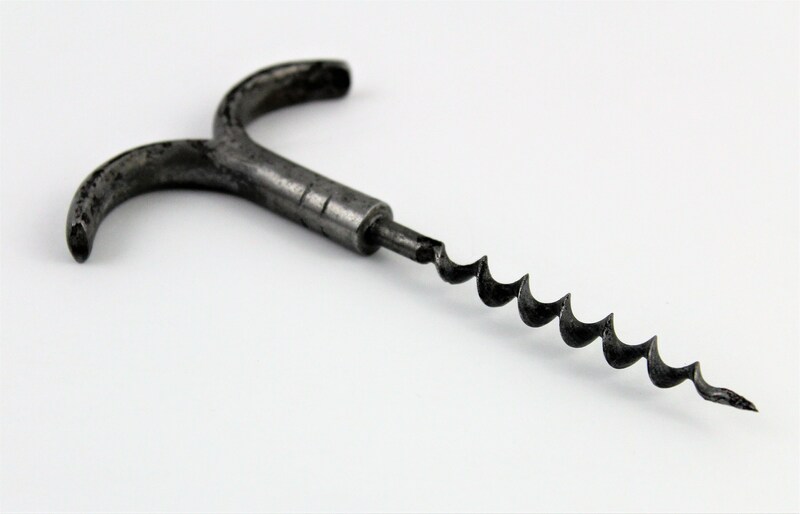 Very collectible two finger pull corkscrew otherwise known as an Eyebrow handled corkscrew. 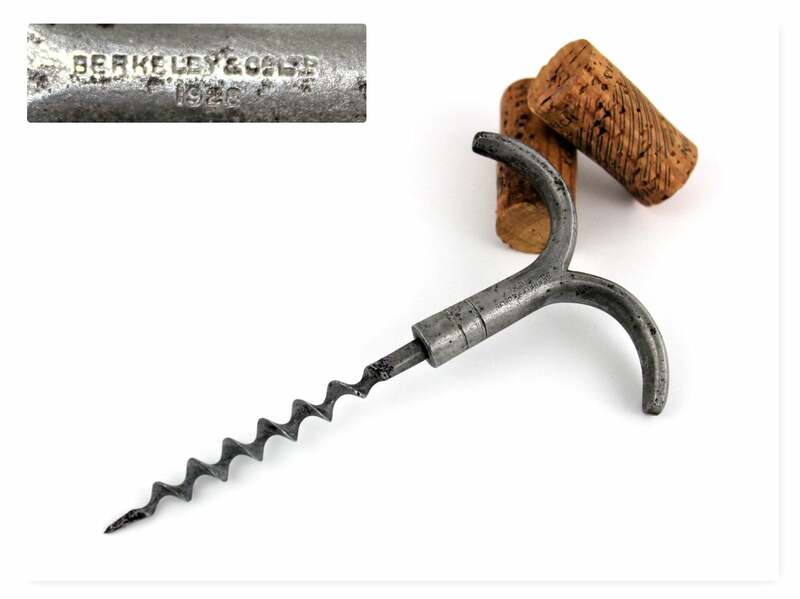 This was made by an English Company Berkeley & Co Ltd. 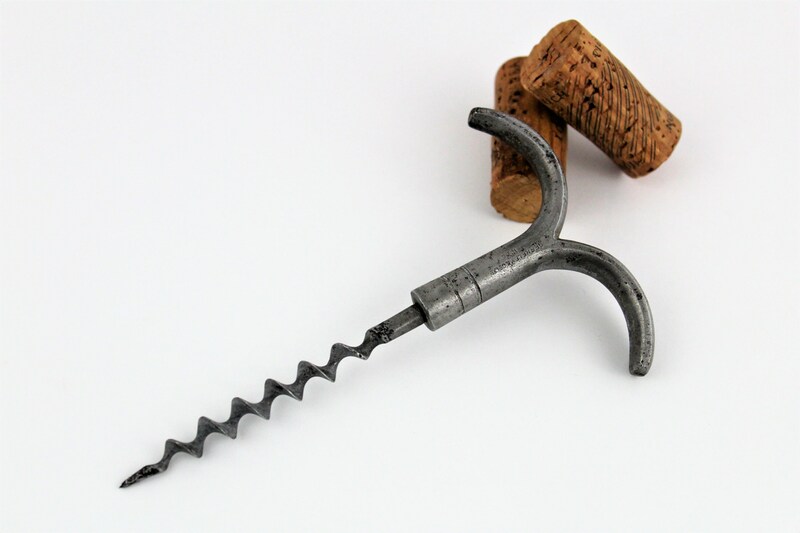 In 1928 it has a bladed worm (screw) the bladed worm cuts easily through the cork. 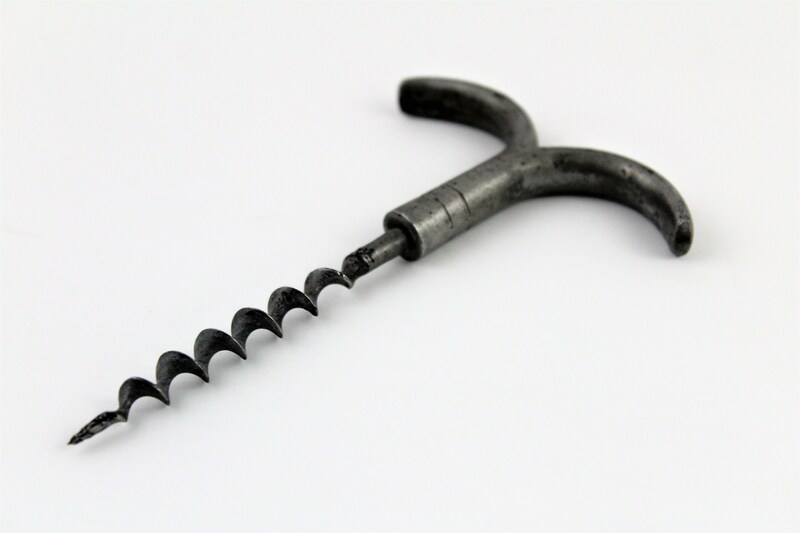 This is a good starter corkscrew for someone just starting a collection. 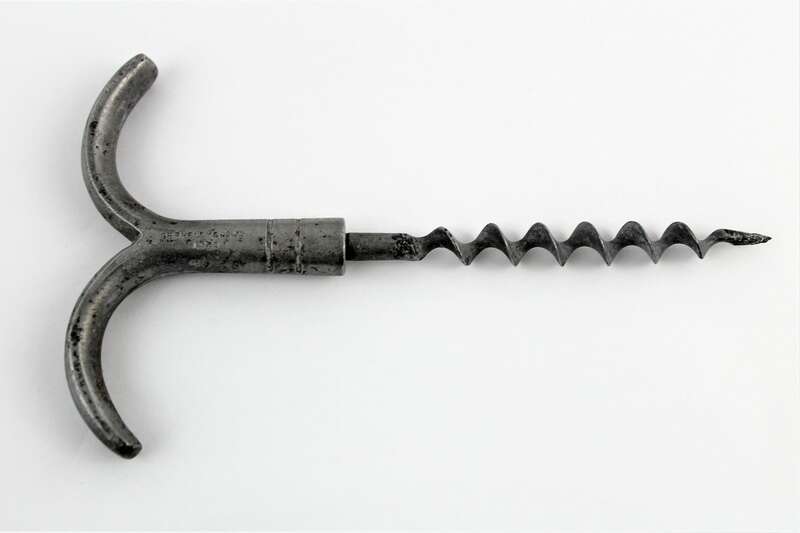 Measures; 5 ½” long, 3 ¼” wide at handle. Condition; Fair condition with plating lose and corrosion.